Is your family ready for a rescue dog? Has your child been begging for a dog? Maybe you’ve decided that you’re ready to add a rescue dog to your family. Rescue dogs can be great companions for children, but you need to choose the dog carefully to make sure it will be a good match for your family. Are your kids old enough for a dog? As you’ve probably noticed, young children demand lots of time and attention. If you’re considering a rescue dog for your family, make sure you have the time and energy to devote to your new pet and that your children won’t resent you for spending some time on the dog instead of on them. A rescue dog may also have emotional issues from previous owners, so make sure your children are mature enough to treat the dog with respect. Some families decide to adopt a dog as a way for their children to learn responsibility. While owning a dog is a great way for kids to learn to help, remember that the dog will be dependent on your family for food, water, exercise and companionship. You must be willing to accept all the responsibilities if your children lose interest or refuse to care for the dog. In fact, most rescues will expect you to sign a contract promising to care for the dog. If it’s all you can do to take care of your children, wait a year or two to add a dog to your family. Can you afford a rescue dog? Kids are expensive and so are pets, though there are things you can do to lessen the financial cost. Before agreeing to adopt a dog, make sure that your budget can accommodate the food, visits to the vet, and other costs of a pet. Also keep in mind that rescue dogs may have health issues that previous owners ignored or couldn’t afford to treat. If you can’t afford some unexpected vet bills, either wait to adopt or work with a rescue to adopt a dog with no known health problems. How well does the rescue group know the dog? Rescue groups vary widely with how well they know their dogs. Some groups place their dogs in foster homes or give temperament tests to find out how the dogs act in various situations. Some dogs in rescues come from deplorable conditions and have been abused or neglected. While these stories will pull at your heartstrings, these are probably not the dogs for you if you have children. Other dogs end up with rescue groups because their owners passed away or could no longer afford the expense of a pet. Many of these dogs had loving homes and families and will be able to transition to your home with ease. Make sure the rescue the rescue you work with will carefully match you to the best dog for your family. Will the rescue let you meet several dogs? 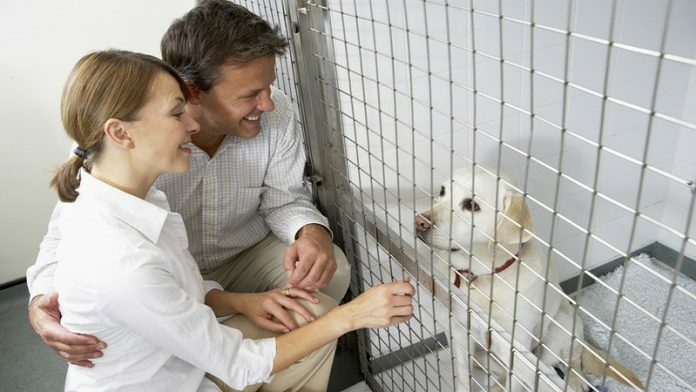 Ideally, families with children should try to meet several rescue dogs before choosing one to adopt. Find out the rescue’s stance on this before getting too far in the process. Some rescues will match you with a dog and you will only meet that particular dog. This is not ideal for families with young children. Even if the rescue has done temperament testing, you may find that the dog and your children just don’t get along. Meeting several dogs will give you a chance to compare the dynamics between the potential pets and each of your family members and will hopefully result in a great match. Overall, owning a rescue dog can be a wonderful experience for children and adults alike. Just make sure that you put some thought and research into your selection so that you’ll end up with the perfect dog for your family.